If you're looking to grow your skills as a working professional, it can sometimes be tough to find classes and training that meet your needs. 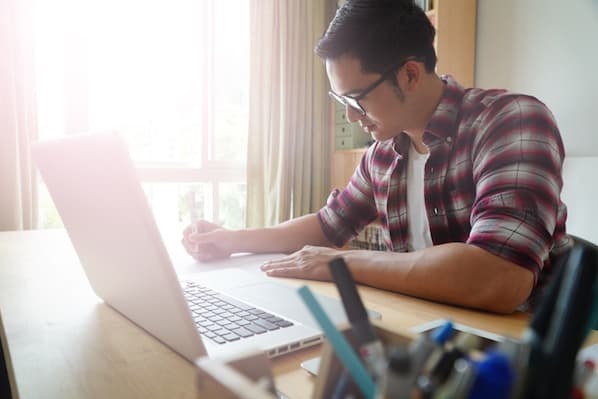 After all, you can't go back to graduate school to get a master's degree in sales, and if you work in an industry that evolves rapidly, traditional education might not be particularly useful for you. Enter academies. Many companies are building academies, which offer training and certifications not just for using products or services, but also for learning how to do a profession well. HubSpot Academy, for example, offers courses, lessons, and certifications about becoming a sales manager, managing leads, and sales enablement. We partnered with Training Industry to research the critical components of an effective sales academy. We collected responses from more than 300 sales professionals. Their input represents in-the-field insights on how to build a structured system for training and developing a sales team. The results of the research are important because they reflect what sales professionals will need in order to thrive in the changing landscape of sales. We're already seeing these changes unfold. For example, quality is no longer the selling feature it once was, and more stakeholders complicate the dialogue. Therefore, sales professionals need a more sophisticated and diverse range of skills. An academy structure is critical for meeting these needs because each new concept builds on the last. Below, we examine the five critical takeaways from the research. 1. You need a structured long game. Too often, selling is about the current quarter. This short-term focus is understandable given the ticking clock of sales quotas. However, the research found that companies with on-demand training are slightly less effective than those with a structured learning path. The results show that 56% of successful companies use a structured learning path compared to the 49% that use on-demand learning. This finding corresponds with another data point from the research, showing that 63% of successful organizations commit to a long-term focus vs. 41% that choose a short-term path. These numbers make intuitive sense. As the sales cycle becomes more complex, sales professionals need a diverse skill set. Moreover, solutions are becoming more sophisticated and demand more proficiency from the sales professional. Selling tools are also becoming more expansive and require intensive training. It's not surprising that onboarding has become a 12-month process for many sales professionals today. A short-term focus can have the effect of rushing this process. In fact, efficiency in training, not shortsightedness, can help sales professionals reduce their time to proficiency and deliver on revenue expectations earlier. An investment in long-term training illustrates a commitment that drives low turnaround and sustainment. 2. Winning business means understanding buyer needs. Effective sales academies deliver relevant skills. Therefore, we asked our boots-on-the-ground sales professionals what skills they believe are critical for winning the sale. The results show that "understanding buyer needs" is the most critical skill, with 77% of participants ranking it as the most important capability. This skill is important because nearly all competitors are prepared to offer effective, affordable, and intuitive solutions. Therefore, value, in today's terms, resides in the details. Advancements in technology have enabled more players to enter the field. Small competitors can leverage speed and agility to outperform established companies. As a result, customers have more choices and are interested in capabilities that offer more than just economic value. Experts at Bain explain that their "research shows that, with some purchases, considerations, such as whether a product can enhance the buyer's reputation or reduce anxiety, play a large role." To understand these anxieties and reputation needs, sales professionals must explore the details behind the customer's choice to explore a purchase. 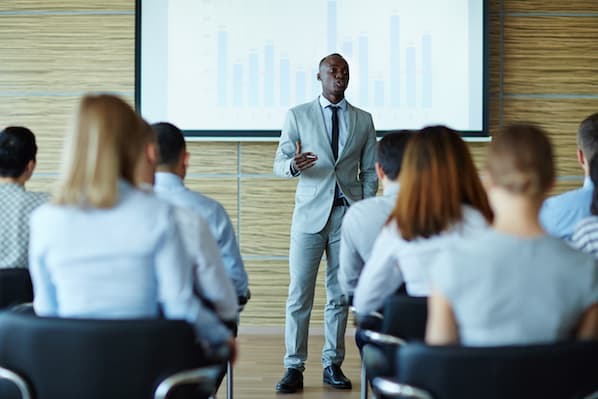 Coming in at a close second, 73% of respondents cited "presenting effectively" as a relevant sales skill. This result corresponds to the team selling trend. Solutions today require an increasing number of sales professionals and subject matter experts (SMEs). Therefore, selling teams need to deliver a well-rehearsed presentation so that complex solutions are clear. Teams need fluent transitions, simplified messaging, and defined roles when in front of the customer. In the category of Engaging Buyers, respondents cited "Knowing the Market" and "Targeting Buyers" as key skills. In the category of Growing Relationships, sales professionals identified "Establishing Relationships" and "Becoming a Trusted Advisor" as being critical focus areas within a sales academy. 3. The classroom is still the most popular spot for training. The sales professionals we surveyed cited classroom training (76%) as the most common modality for learning. In our study, the category of classroom learning included both virtual and in-person styles. In most cases, the preference between in-person or virtual training is a function of the material. For example, in-person training is often better for learning how to handle objections or sell as a team. The reason: learners need the "in-the-moment" experience of role play to develop the skills to navigate these challenges. Following classroom training, respondents identified on-the-job learning (60%) as the second most common method of learning, followed by coaching/mentoring (42%), internal knowledge base (39%), on-demand e-learning (35%,) and finally, video examples (33%). Selecting the optimal modality starts with an understanding of the sales professional's environment. For example, field sales professionals are often away from the office pursuing leads. In these cases, a mobile learning solution like on-demand e-learning is best because it doesn't demand time out of the market. Many organizations have discovered that blended training is best because different skills require different styles of engagement. 4. The preferred length of training depends on the format. We asked sales professionals how long they thought training should take. For those engaged in instructor-led classroom training, the overwhelming response was one day. 75% of respondents indicated that one day is the most effective duration for classroom learning. Only 17% cited two-day training as optimal, and 8% cited three-day training. When it comes to digital learning modules, sales professionals prefer a shorter duration, as seen by 50% of respondents who indicated that 15-30 minutes is optimal, followed by 33% who stated that 15 minutes or less and 17% who cited that 30 minutes or more as best. This result tracks with academic research, which showed that "shorter training sessions were advantageous because they allowed for more latent, between-session, and post-training learning to emerge." The sophisticated skills required to win the sale today demand more of the learner's cognition than ever before. Therefore, these shorter increments resonate with respondents. 5. Sales professionals want benchmarking. The ability to benchmark performance against peers was rated as being at least moderately important for 79% of sales professionals. Our results show that 54% of sales professionals believe benchmarking is "very important" and that 25% believe it is "moderately important." Only 20% think it is "not important." Sales professionals, by nature, enjoy healthy competition, and the preference for benchmarking reflects this fact. Organizations can use benchmarking beyond the peer group. For example, some organizations prefer using cross-industry benchmarks or involving larger data sets to examine results on a segmented basis. In these cases, leaders might review performance within specific territories, roles, or market segments. To work as intended, the benchmarking process must be ongoing and communicated clearly and regularly. Remember, benchmarks can be quantitative and qualitative. Effective leaders often balance the two. Finally, benchmarking serves more than the sales professionals. This practice also equips leaders to ensure consistency across the organization so that everyone is adhering to the same skills. A strong sales academy requires sincere engagement from the sales professionals. Finding this engagement means configuring the academy around the skills that sales professionals consider important. Leaders can redesign a sales academy at any time. 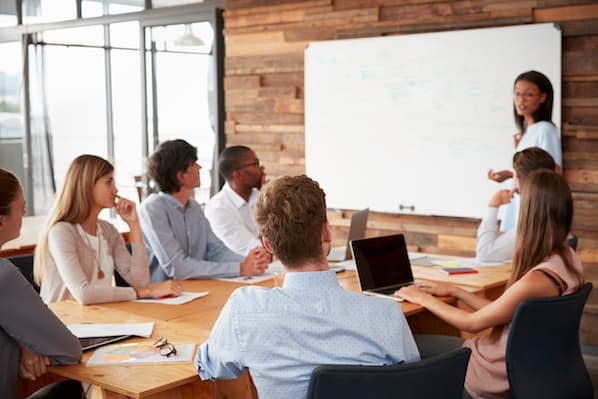 In fact, "mature companies spend 34% more on training and development than their less mature counterparts," according to research from Bersin. These more experienced businesses understand the value of investing in their workforce. The result: "They earn a profit growth three times that of their competitors," according to the same research.